7th best 5 year old IN THE WORLD!!! 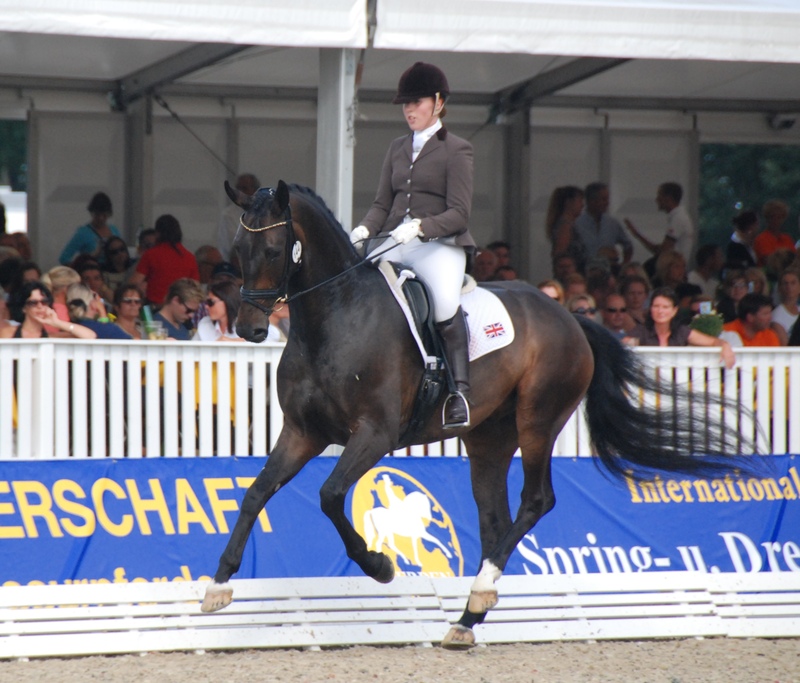 The remarkable Carinsio aka Jack did not disappoint in Verden at the World Young Horse Championships. After a rather stressful trot-up for Becky but the most exciting thing EVER for Jack he settled down eventually and worked well the evening before the first competition. 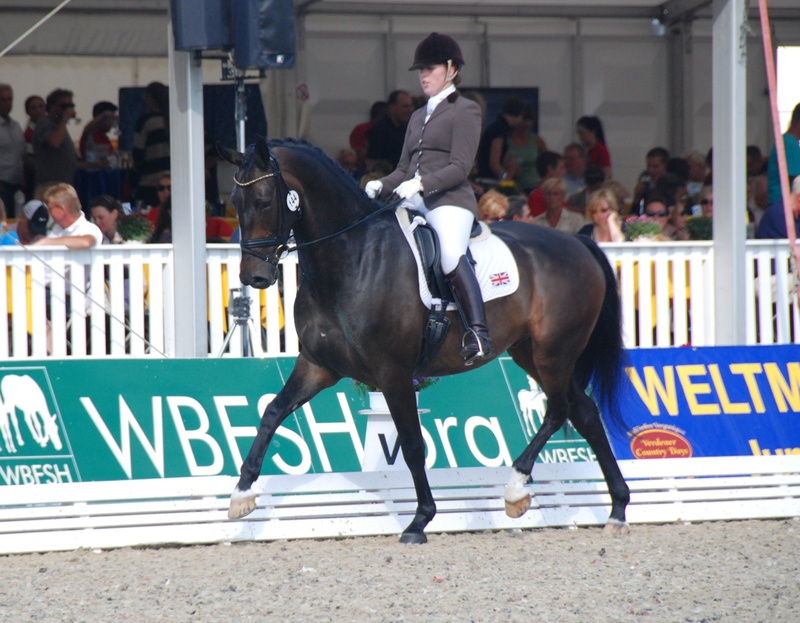 With over 1000 horses there to compete in both the dressage and show jumping you can imagine the atmosphere was electric – both Becky and Jack coped very well with any nerves they may have had and pulled off a super test in the qualifier to gain a very credible 8.32 putting them in 8th place out of 40+ horses. This meant they went straight through to the final of 15 horses on the Saturday. We had a nice relaxing day on the Friday and watched the 6 year old class in awe of Michael and Farouche who won the final with 9.88 – very well deserved! We are all back safe and sound although a little tired but looking forward to the next big show being the Nationals in September! Previous Post On our way………. 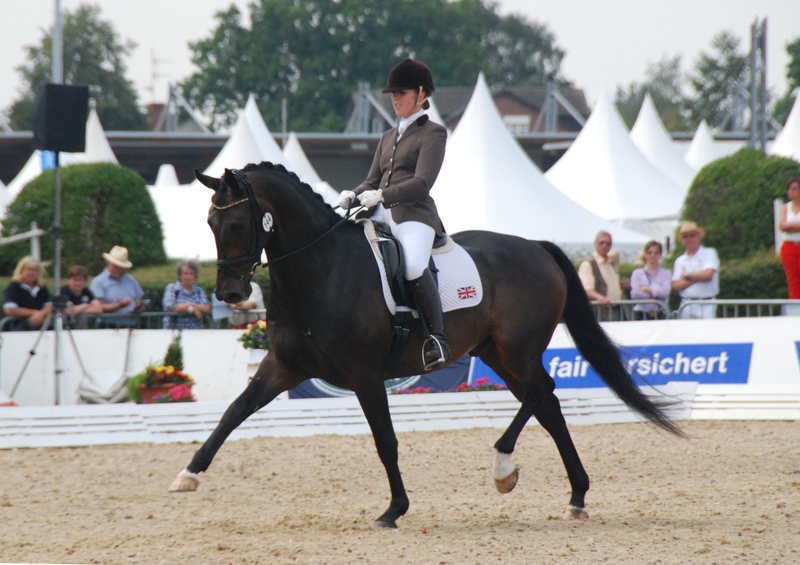 Next Post Our very own Olympic, German Trainer…….